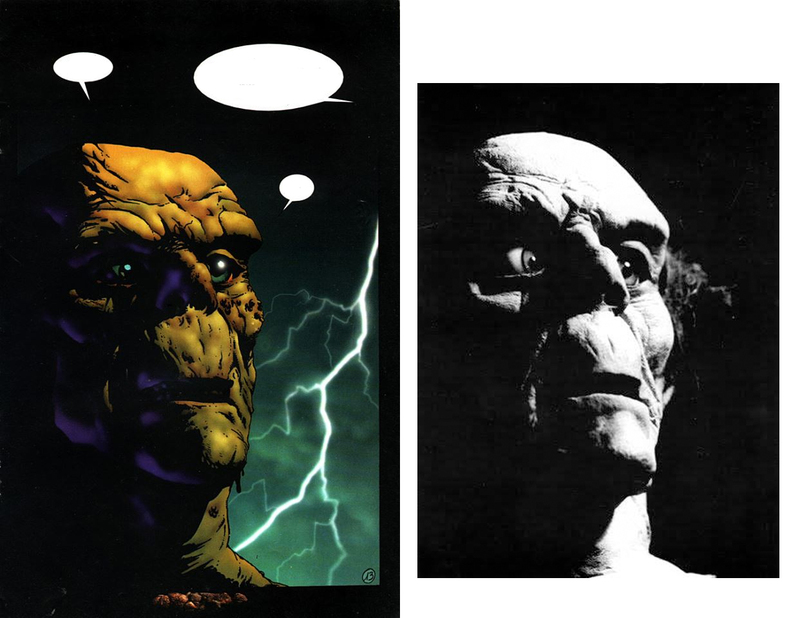 Richard Corben is not the only one who’s marking respects. Captain America: Sam Wilson #3 (Nov. 18, 2015) by Nick Spencer and Daniel Acuna. 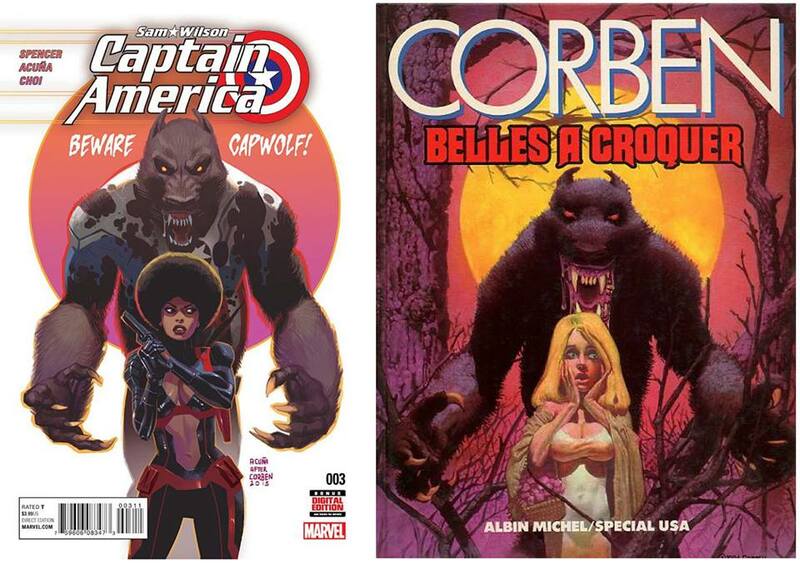 A variant cover by Daniel Acuna, Cap-Wolf, a mark of respect to Richard Corben. Here with the source material, Werewolf (1984), the original cover art from French reprint, Belles a croquer (1984). Daniel Acuña (born 1974) is a Spanish comic book artist. 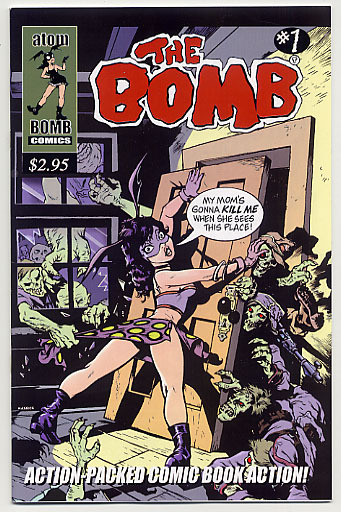 He cites his early influences as Jack Kirby, the Romitas, Will Eisner, Simon Bisley, Kevin Nowlan, Hal Foster, and his favourite, Richard Corben. Acuña has been working for both Marvel and DC Comics. He has done also the movie to interior art. For comics he has done covers, pencils, inks, graytones, and character design. 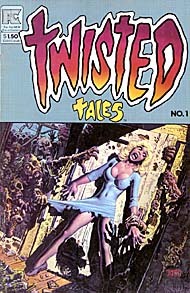 Steve Mannion tribute to Richard Corben cover art. Inside Spanish Cazador #15 vs. Richard Corben head mask.